AEC was contracted by the site owner’s representative to carry out an interim removal action to address contaminated soils at the Columbia Steel Casting Company (CSCC) facility. This was in an effort to remediate elevated concentrations of dioxins/furans (D/F) located in the Center Pond area of the site. AEC was responsible for the management of drilling and well decommissioning work for two (2) wells identified by the client. 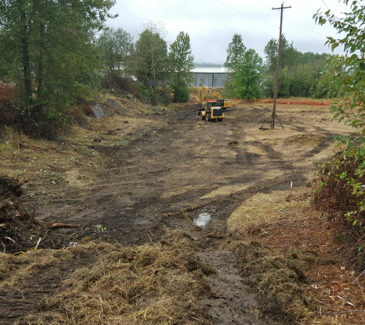 We worked to clear out a thick cover of canary reed grass present on the project site prior to any heavy excavation or grading, and consolidated and stockpiled and mixed with stockpiled soils prior to their transport offsite. 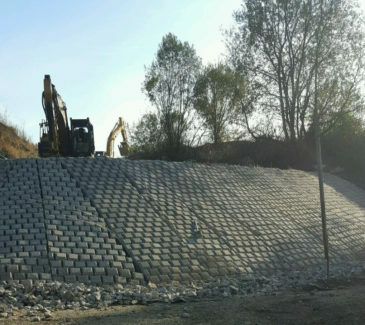 We installed and complied with OR DEQ to employ erosion and sediment controls using standard BMPs, including silt fence, filter fabric inserts, coir matting, catch basins, rumble strips and straw wattles. AEC began excavation work using our heavy equipment, moving from the north end of the property to the south. 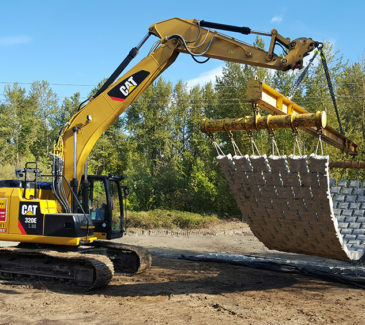 Excavated soils were consolidated on site and capped for isolation, except for a small volume (roughly 250 tons) which was direct loaded and transported off site to the Waste Connections Subtitle D landfill in The Dalles, OR. Next we installed Geotextile material over stockpiled soils and installed a concrete block mattress. Then AEC followed the mattress installation with ACB mats and the installation of rip rap and granular backfill into the protection areas as required. 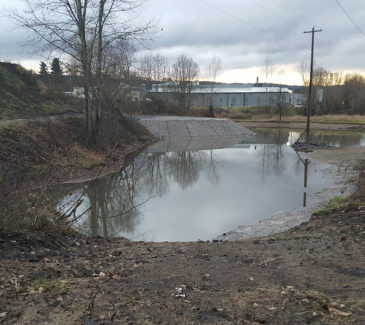 Site restoration included hydroseeding in two separate areas, the upland area and the wetland area, using two separate applications of Permamatrix, a locally produced product containing biochar, followed by erosion control mulch. 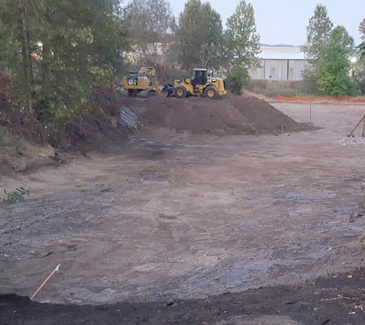 The excavation areas for the Center Pond project were restored completely to wetland functionality, and we re-graded all applicable areas to maintain the preconstruction hydrology.